It's no secret that behind every celebrity is a team of beauty professionals making sure their physical features are perfect. In other words, they most definitely do not wake up like how you see them on television or the magazine. So, what do they look like when they roll out of bed? FHM dug up some makeup-free selfies on Instagram. Unsurprisingly, they look just as good without the magic of the eyeliner and lipstick. We've also posted their made-up look for comparison. 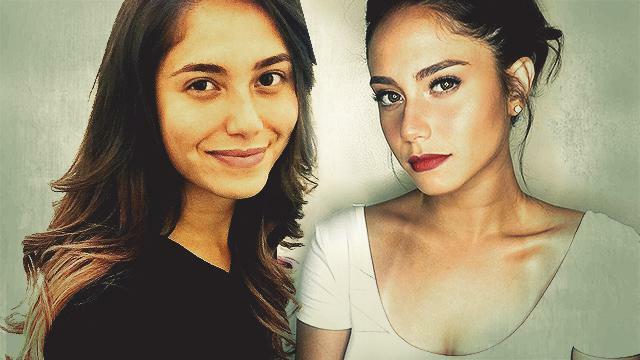 The ABS-CBN actress loves posting her bare-faced beauty on Instagram. We're still crushing on her even without makeup. Here's the reigning Philippines' Finest looking fresh and posing confidently in front of the camera not glammed up. The Kapuso actress has no reason to hide behind makeup because she looks great with or without it. The 28-year-old actress sizzles no matter what. The Always Be My Maybe star's eyebrows are on fleek and her cheeks blush san makeup. The Ex With Benefits actress' freckles may be visible without foundation, but that just makes her more beautiful. The It's Showtime host can survive the MRT and obviously, a day without makeup. The Pilipinas Got Talent judge shows her natural self. Nonetheless, she still looks fierce. The Dance Princess always snaps confidently. The FHM May 2016 cover girl further proves that freckles are beautiful. This is what "confidently beautiful with a heart" looks like without makeup. The 25-year-old actress can often be spotted in public without makeup. She doesn't care; she's got it either way. The three-time FHM cover girl is cover girl-worthy with or without "colorete." Like all of the girls on this list, the Tubig at Langis actress really doesn't need makeup (IMHO). Yaya Dub isn't afraid to show her true self and that's exactly why the public loves her.